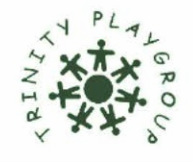 Trinity Playgroup (TPG): Trinity Playgroup’s mission is to care for, educate, and enrich the lives of pre-school children, with a view to meeting their physical, emotional, social, and cognitive needs at different stages of development. Trinity Playgroup is a State licensed, private, nonprofit, nonsectarian, play-based preschool that serves all children equally. We offer a continuous educational experience that is based in play to meet the social, academic, and emotional needs of children of each developmental level from 18 months until they are prepared to enter Kindergarten.